Golden State Guiding is proud to announce the latest addition to the GSG Ambassador Family, Jonathan Wachtel. Jonathan joins the GSG family with a wealth of knowledge regarding climbing and is highly respected throughout the climbing community. 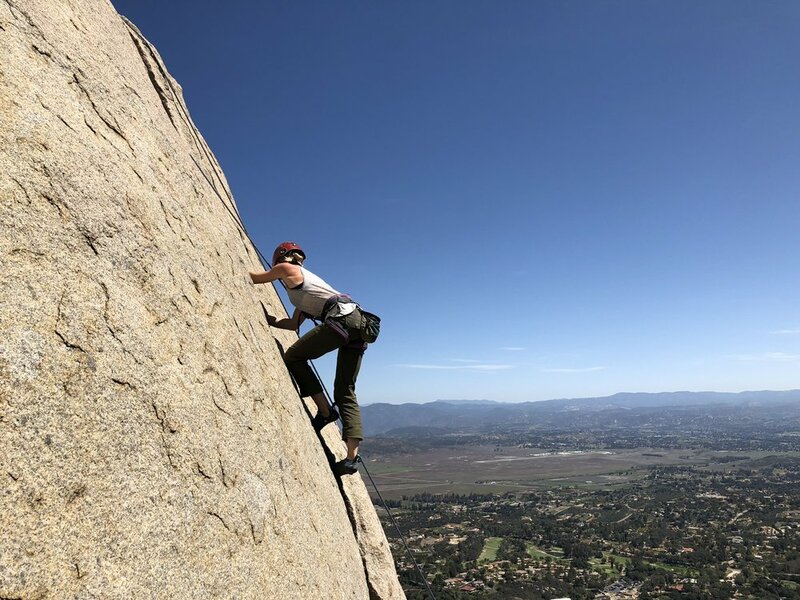 Co-founder of the San Diego Chapter's American Alpine Club, Jonathan has deeply rooted himself within the community helping grow this actively we love so much. Jonathan holds an AMGA Single Pitch Instructor certification, is a Lieutenant Commander in the US Navy and as of more recent a new dad! Please join us in welcoming Jonathan to the GSG Family! Great day out at Descanso guest guiding with the @sandiegochapter_aac. Students today were enrolled in the Gym 2 Crag program where they learned how to clean an anchor and rappel as well as build top rope anchors. Crag etiquette was discussed which involved "leave no trace" discussions and overall common cutesy. High stoke levels out there today, great job American Alpine Club!